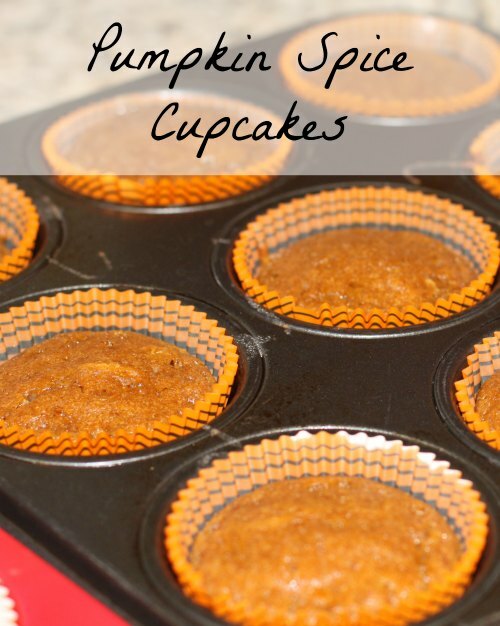 I have yet another pumpkin recipe to share with you. Pumpkin is something you either love or hate and I LOVE everything pumpkin. These cupcakes are healthier for you than your average cupcakes with the addition of the Pumpkin Puree. Pumpkin puree is high in vitamin A and has a significant amount of fiber. In a large bowl or a stand mixer, beat together the butter, eggs, and brown sugar until creamy. 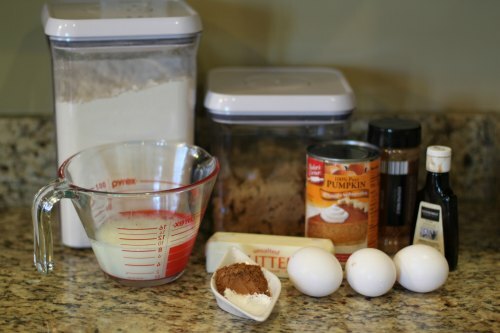 Add pumpkin puree, baking powder, salt, vanilla, pumpkin pie spice, cinnamon, and flour until mixed well. Then add milk until well mixed. Spoon into muffin tins lined with cupcake wrappers. Bake for 15- 18 minutes. 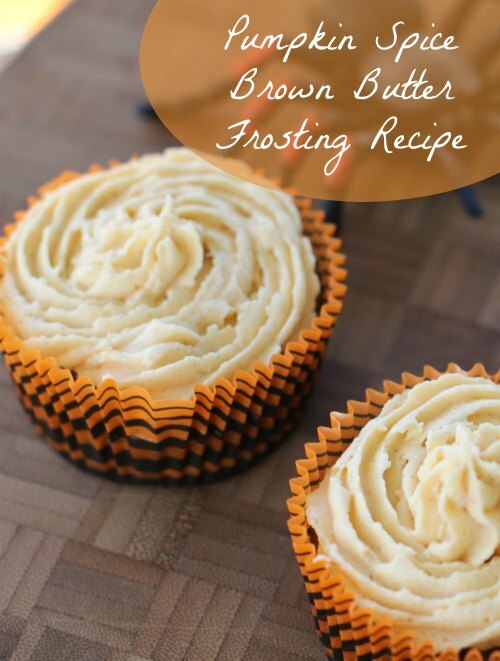 The Pumpkin Spice Cupcakes pair wonderfully with the Pumpkin Spice Brown Butter Frosting Recipe! (Delish!) If you want to keep the cupcake healthy, skip the frosting but it is ohhhhh sooooo good!!! Thanks so much for the recipe! It turned out great. The only switch I did was the flour and used rice flour since my son has wheat allergy. The frosting came out a bit watery more like icing however it was DELICIOUS. Loved it! I should have done half the amount because it’s just way too much for 22 cupcakes. That’s ok since I plan to do more pumpkin desserts in these coming weeks. I’ll keep the frosting in the fridge and hope it keeps well.